Our Sponsorship Program is at the heart of our ministry, and we have seen God do such amazing things in and through these children. Currently making up almost half of our student population, each sponsored child has a unique story and reason for being at Pfunanane. Recommended to us by local pastors, social workers, and community health workers, there is a genuine need in each of these families – most make barely enough money to survive, living in tiny houses that are usually without running water or indoor plumbing. Some children walk several miles just to catch a local bus to school; others live at Pfunanane because they have nowhere else to go. Ou r Sponsorship Program has always been unique, in that those running the program are also the ones spending each day with these children – teaching them, talking to them, listening to their struggles, and visiting their families. Children are taken into the sponsorship program in faith that a sponsor will be found to help cover the costs of their education. Pfunanane reaches out not only to the child but also to his or her family – helping with financial and physical needs, but also impacting them spiritually and emotionally. For many of these children school is a haven where they can get a quality Christian education, a daily meal, and also the love and attention that they so desperately need. Support for families, including hiring parents to work at the school whenever possible. What do sponsors receive? Sponsors can enjoy a real relationship with the student they sponsor. 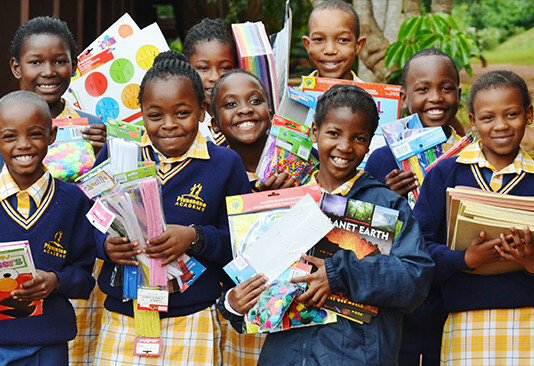 Several times a year, sponsors receive things like school work, letters, cards, drawings,and photos from the student, along with school reports and personalized information on the student’s progress and family situation. As a sponsor, you may also send photos, letters and packages to your student. Pfunanane Ministries asks that you commit to your student for at least one year. Some sponsors also like to send letters and packages to their child. If that is something you would be interested in doing, please click here for more information on how to do so. Please do not feel pressured to send anything to your child or guilty if you do not, what you provide through your sponsorship is enough! We just want sponsors to know that sending letters and gifts is an option. How do sponsorship payments work? As we provide so much for the children, a full sponsorship to cover all their expenses is $80 a month – this comes out to just over $2.50 a day. A half sponsorship of $40 a month is also available if sponsors can’t afford the $80, with these students sometimes having two sponsors. Payments can be made monthly, quarterly or yearly, depending on what works best for you. For more information please go to our “make a payment” page or click here. How many students still need sponsors? 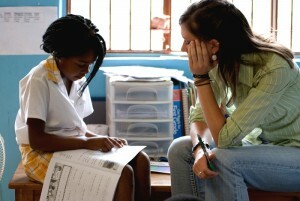 We currently have more than 100 children in our program, including those continuing at a local Christian high school. Fifty of these children are still awaiting sponsors, and in January of each year, 20 new preschoolers are admitted to the program. Yes! We encourage sponsors to choose a child they feel they connect with, though we can also choose for you based on those who have been waiting the longest. View the kids needing sponsorship. I would like to sponsor a child! Please fill out your details below and, if you wish, let us know the gender and age group you would be interested in, or the name of a specific child. We will do our best to get back to you within a few days with the name of a child who has been waiting for you!